Lot 711. 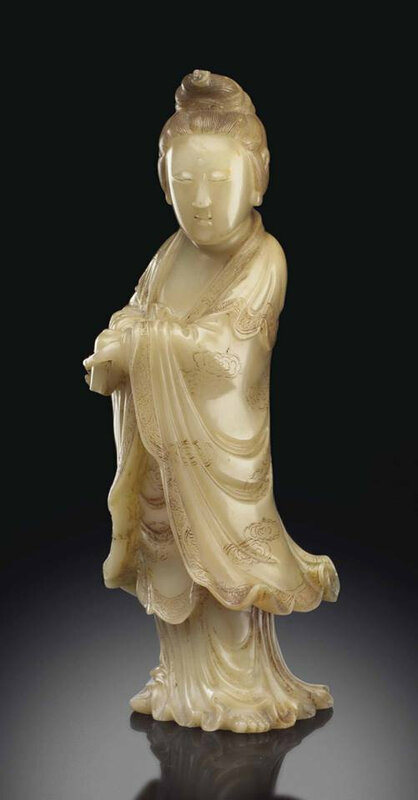 A soapstone figure of Guanyin, 18th-19th century; 6 3/8 in. (16.2 cm.) high. Estimate USD 4,000 - USD 6,000. 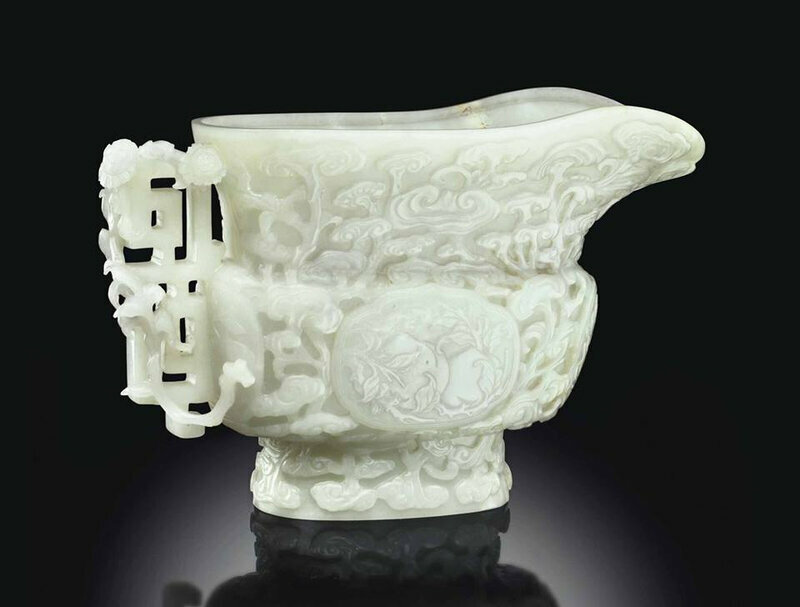 Price realised USD 25,000. © Christie’s Image Ltd 2014. The graceful figure is shown standing with head turned slightly to the side and holding an inverted bottle in her hands. She wears a shawl over her shoulders, a cloak incised with clouds that flares at the hem, and a long skirt that falls to the tops of her bare feet. Her hair is worn in an elaborate topknot. 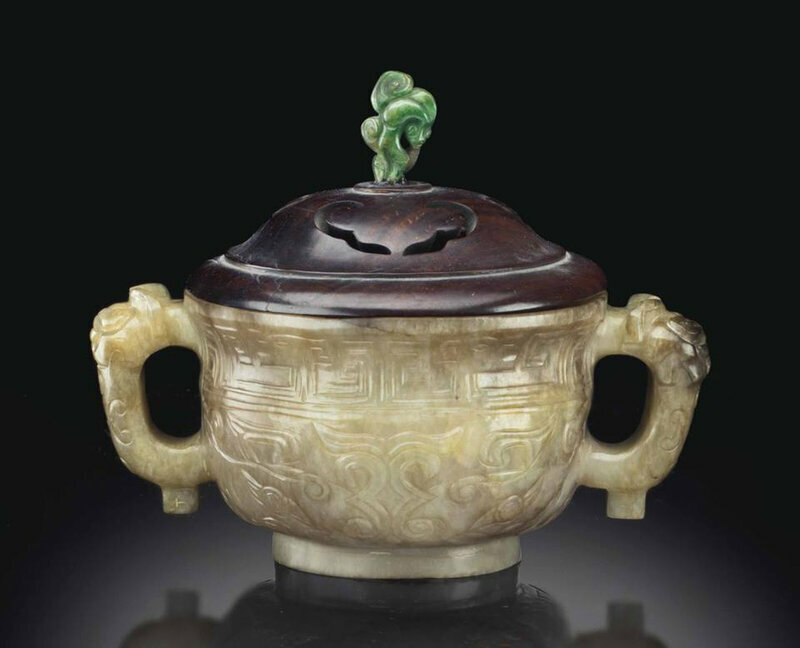 The stone is of warm ivory color and there are faint traces of pigment.